Eyes on the Next Step – Comprehensive Development, Inc.
Fall is a time for pumpkins, foliage and college & career fairs! Colleges and employers from all over the area visit CDI’s schools every year to meet with students and help them gauge what path they’d like go down after high school. 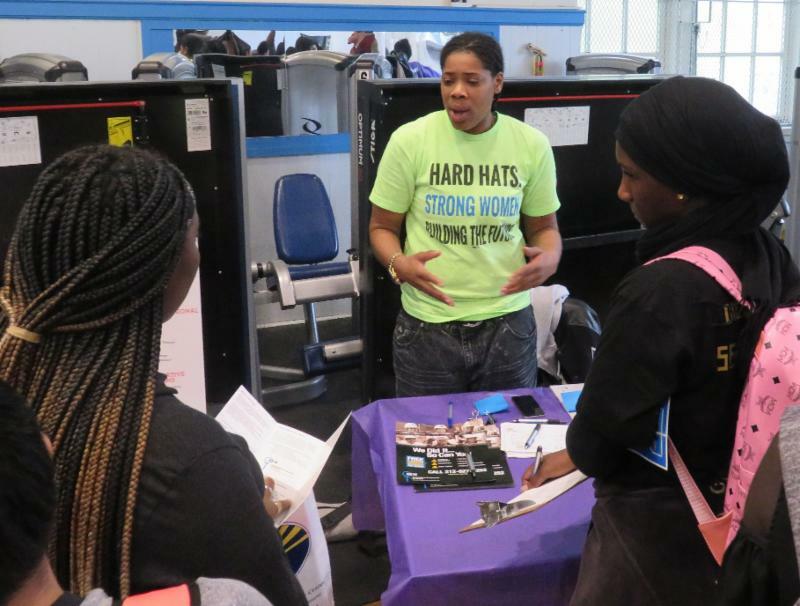 For those with college aspirations, having recruiters come to talk to them is key, as many of our young people work full time and are not always able to go on college visits. 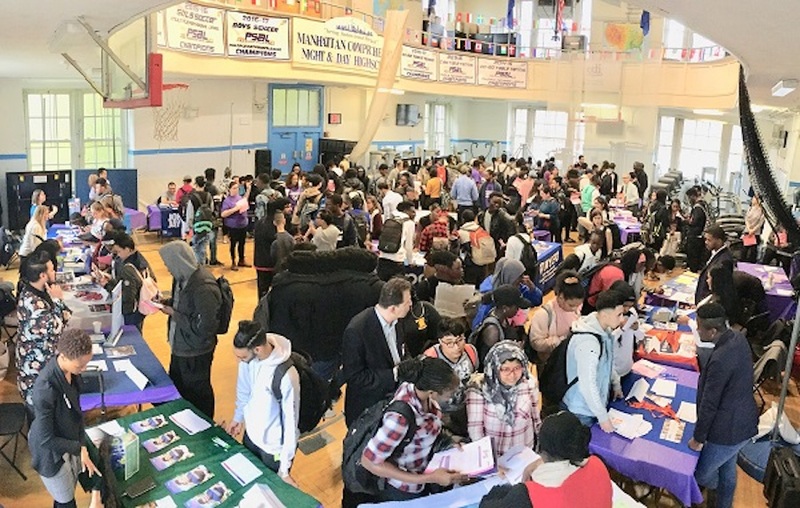 For students not looking to go into college right away, it gives them a chance to network with potential employers and is a first-hand glimpse at what some of their options are for heading right into the workforce after high school. 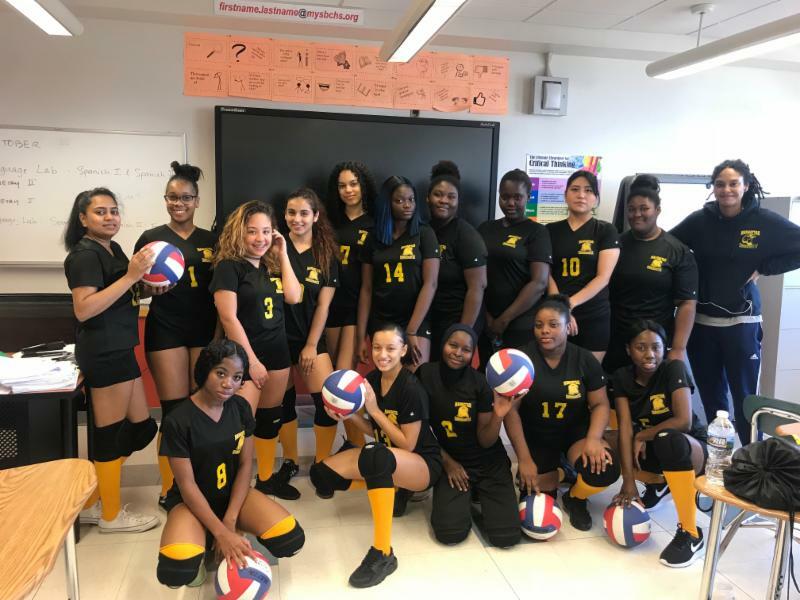 The MCNDHS Eagles girl’s volleyball veterans Jamina, Estefany and Ashianna have a lot of confidence going into this season. Hailing from the Ivory Coast, Dominican Republic and Guyana respectively, they were all new to the sport when they first joined the team. “I didn’t even know what volleyball was, but the other girls were playing and it looked fun. It was hard at first but now it’s easy and I’ve made a lot of friends” said Jamina. The Eagles are in the midst of their season, and though they’re currently 2 – 4, they still have championship aspirations. “I think we can win it,” Jamina said. “A few of us on the team are veterans and we’re helping the younger girls. Everyone is on the same page and wants to win!” Their next game is against Voyages South Preparatory High School on November 16th. you’re invited to hear what youth have to say! 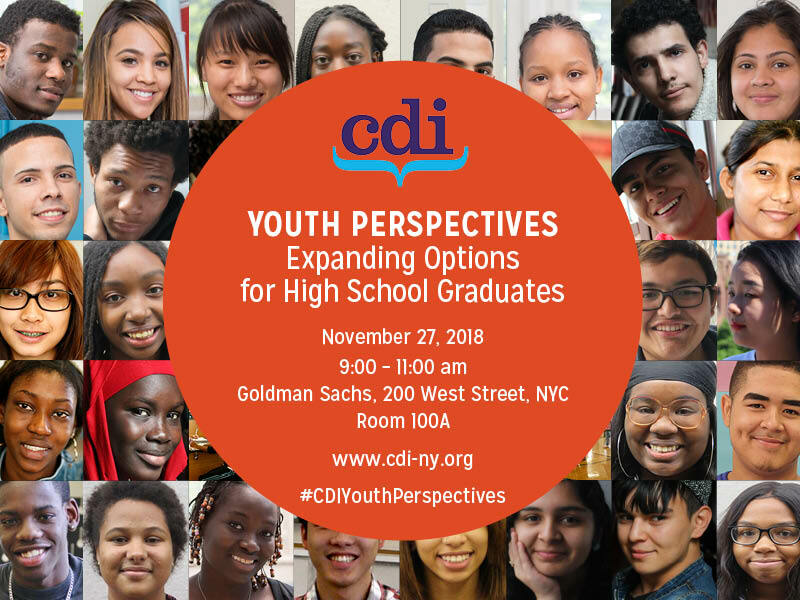 Comprehensive Development, Inc. (CDI) presents Youth Perspectives, an event where young people, ages 14-25, speak directly to educators, policymakers, workforce advocates and funders about what they need to succeed after High School. Please join us for a thoughtful, stimulating conversation as our youth experts and professionals in the field speak about gaps to be addressed, best practices and examine ways all of us can be involved in helping this next generation succeed.